At GXA, we are committed to our purpose and passion of serving the next generation by investing our profits and resources into good works that create, support, and sustain a better community and a brighter future. This is a promise that we make to our Clients… that we will continue to use the success of our partnership to fulfil a Grander Purpose. 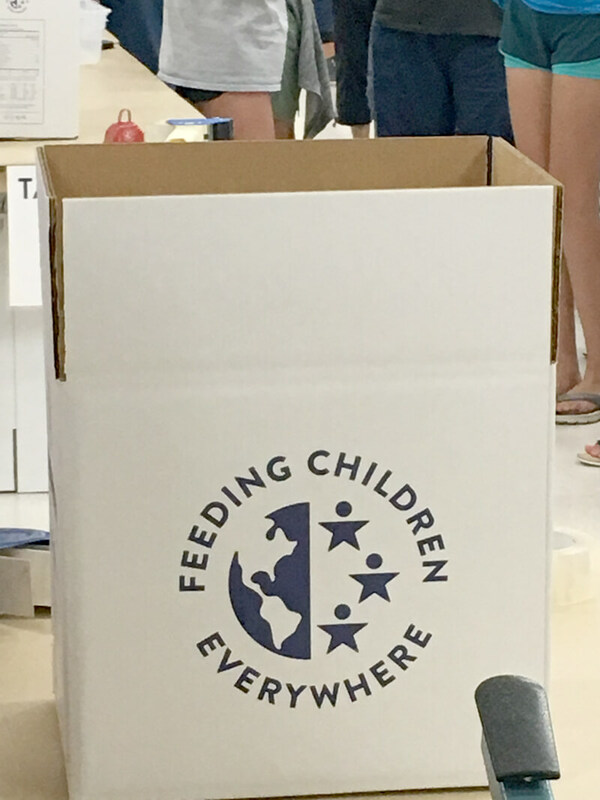 On Sunday, Sept. 10, the event was held at the Richardson Civic Center. 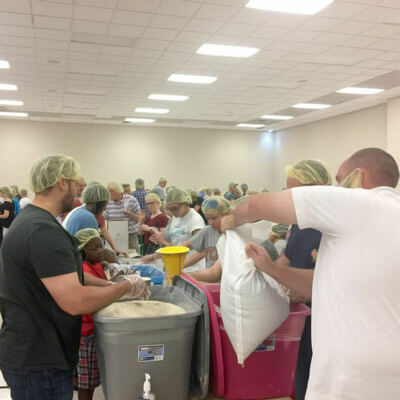 Individuals form local houses of worship, corporate entities, non-profit organizations and neighborhoods made a local impact on hunger especially for Hurricane Harvey victims. GXA’s group volunteered and made financial contributions to assure a successful event. In Response to Houston Hurricane Harvey that devestation so much of Texas, GXA donated monetary funds through the American Red Cross in an effort to help families displaced by the natural disaster. Santa’s Village, a tiny town of 16 holiday dwellings on the north side of City Hall, is a free holiday tradition for families from Richardson and beyond. Each colorful building offers children a fun activity and even a visit with Santa Claus! 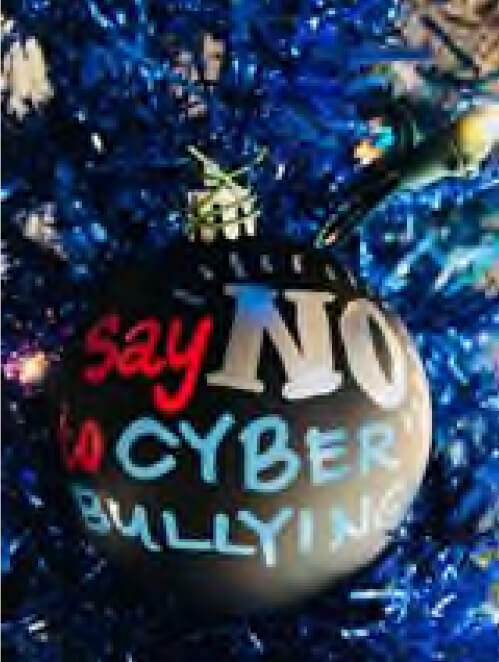 Attendees can also enjoy live performances, holiday photo ops, and warm up with a cup of hot chocolate or a snack. 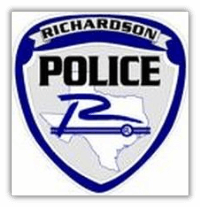 GXA provided monetary donations to fund this event for the public by donating to the Richardson Police Department. Kelly Wierzbinski, director of Rainbow Days’ Family Connection program, said the ultimate goal of Kids’ University is to help homeless youths learn about potential career opportunities, how to set and attain goals, and understand the value of education. GXA believes in the mission of this program and provided monetary donations. As a partner of Minnie’s Pantry in Plano Texas, GXA will be one of the corporate sponsors for Oprah Winfrey as a keynote speaker coming to Dallas in April to help feed the hungry. 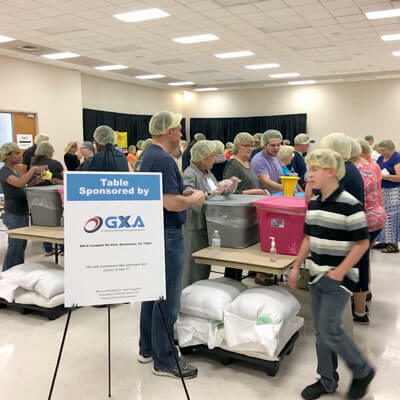 GXA sponsorship will provide 75,000 meals to families living in low income and food insecure households. Mega Care is an organization that cares about people and seeks out those that are in desperate need of aid. Our commitment is to assist others so they can experience a higher quality of life. Through clean water programs, construction of shelter and distribution of food and medicines, MegaCare has provided relief worldwide. GXA provided monetary donations to advance the mission of MegaCare. This nonprofit means a lot to George and Alicia because they have personally donated their time and been involved and traveled to places all around the world for missionary outreach under MegaCare. 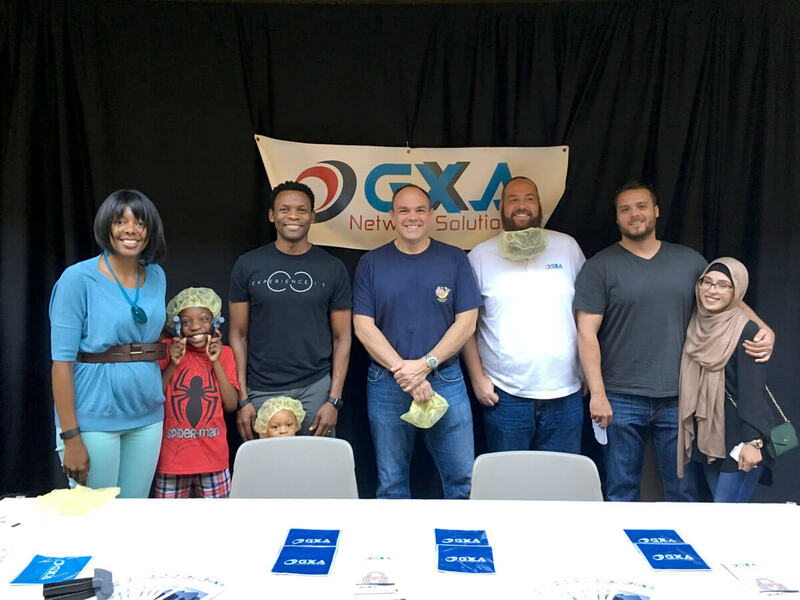 The VA of North Texas hosted its annual Adopt-a-Veteran Family project again this year and GXA and its employees participated. GXA provided the VA of North Texas Veteran (Single Mom) her wishes by donating clothing, books, and needed items to the family for Christmas. In addition GXA employees made a monetary donation. 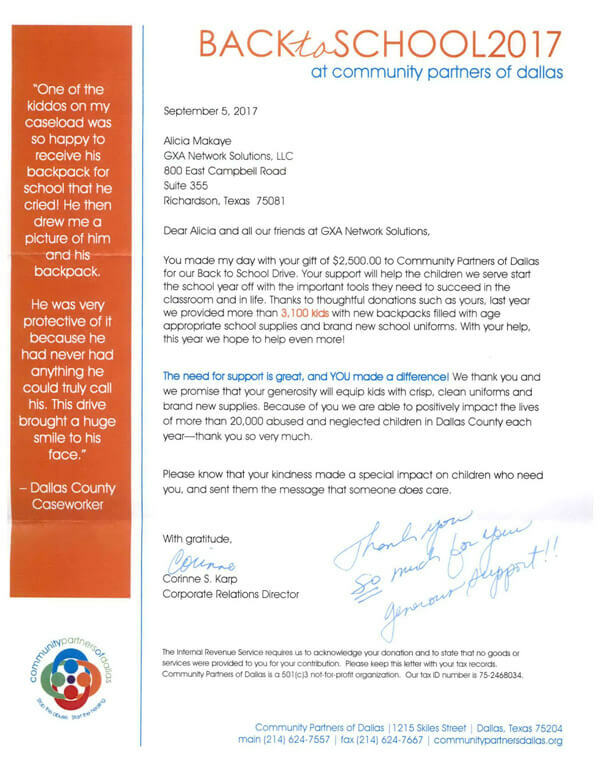 GXA donated to Community Partners of Dallas whom provided backpacks filled with age-appropriate school supplies and new uniforms to more than 3,500 abused and neglected children in the Dallas area!